This collection of 15 science fiction and fantasy stories for kids by award-winning author Anne E. Johnson is perfect for ages 8-12, or anyone with a child's heart. Outside our town, a few miles from where Jimbo’s gas station used to be, an old man lived all by himself. Everybody knew he was there, but nobody actually knew him. He’d show up a few times a year to buy canned goods at Ruth & Bobby’s, but that was it. Not a soul, not even the oldest soul in town, could remember a time when that man hadn’t been around. He must have been two hundred years old. Some said more like three hundred. Truth was, he’d been out of touch with people for so long that nobody could remember his name. He couldn’t even remember his own name. Folks said that a crust had grown over his heart. The heart’s a funny organ, though. It’s tougher than you’d think, and can survive through pretty much anything. It’s like a tulip bulb. No matter how icy and long the winter is, that little bulb stays alive under the frozen ground until it’s time to shoot up a new sprout, green and full of life. But for some especially frosty people, there’s rarely enough sunshine to wake up their hearts. It takes something spectacular, maybe even something from another world. I’ll tell you what happened to this old, old man, and you’ll see what I mean. Nobody wanted to have anything to do with him. Flies and grubs and spiders occasionally tiptoed into the walls of his house, but most were never heard from again. The younger raccoons and rabbits only touched his front stoop on a dare because their parents warned them not to. “Get away!” the old man would scream hoarsely while shaking a frying pan above his head. Every living creature, from human on down to bedbug, knew enough to keep off the old man’s property. But that knowledge had not been broadcast across space. So, when an alien landed in a clearing in the woods one late winter afternoon, it didn’t realize what it was up against. It was scared and a little woozy after a rough landing, although it wasn’t afraid. It had been brought up to assume that all beings will do right by each other when given the chance. Poor little thing. I bet you think an alien is a spindly sort that looks like it’s made of green plastic. Well, not this one. It was furry. Oh, so furry. Picture fur as thick as a polar bear’s and as soft as a mink’s. Now double how thick and soft it is. Now color it blue-green. This deep, soft, dark fur was all over its body, which was short and wide. The alien, standing, came up just past your knees, but was too wide to get your arms around. Well, this little alien was in need of shelter and food. It didn’t know the plants and animals of our planet, so it shuffled right by some perfectly edible berries and nuts. But it recognized a building when it saw one. And so it approached the old man’s house in the middle of the woods, with hope in its heart but nothing in its belly. “MMMnnnyonggg,” it called out from the yard. Nothing stirred in the house, but several woodchucks and foxes gathered to watch from a safe distance. The alien trundled up the front steps. Once it caught its fur on the rotting wood, but freed itself like a real trooper. Inside the house, the old man heard a nasal howl. The old man shoved the front door open so hard it smacked against the rotten siding. A few shingles crumbled and fell. The woodland creatures watching the show skittered deeper into the shadows, fearing what would come next. But the alien didn’t move. It didn’t know it was supposed to be afraid of the sound of wood smacking wood, or the sight of a two-legged earthling holding a round metal object. It assumed this was either a way to say “hello,” or else a communication device telling the whole planet about its arrival. Those were the only options that made sense to the alien. Widening its eyes and puffing up its fur, it tried to look as friendly as possible. The alien didn’t know what the word “gorilla” meant, but it enjoyed the sound, so it waddled a little closer to the cool-talking human. “GGgggrrrrill,” said the alien, trying to fit in. The old man just snorted and slammed the door, leaving the alien alone on the porch. As the author of dozens of published short stories, Anne E. Johnson has won writing prizes for both children's and adults' short fiction. 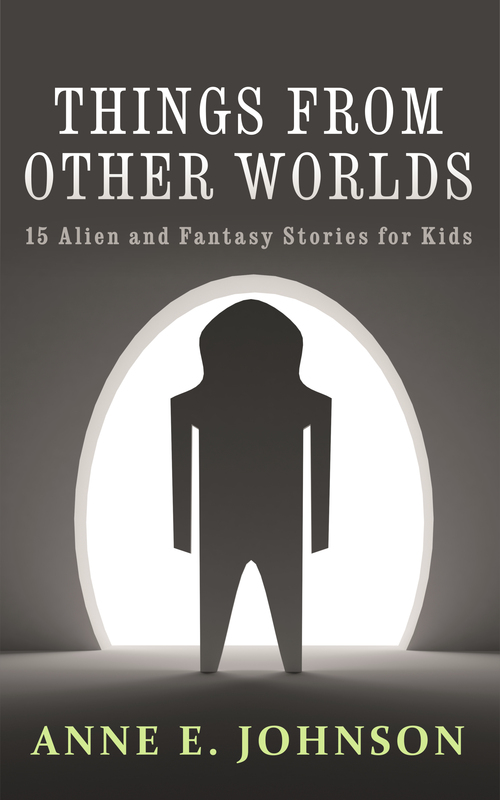 Her short fiction for kids has appeared in FrostFire Worlds, Wee Tales, Jack & Jill, Young Explorer’s Adventure Guide, Rainbow Rumpus, and elsewhere. Her stories for adults can be found in Alternate Hilarities, The Future Fire, Liquid Imagination, and SpeckLit. For a complete list of her published stories, please visit AnneEJohnson.com. She also writes science fiction novels, including the humorous Webrid Chronicles series. 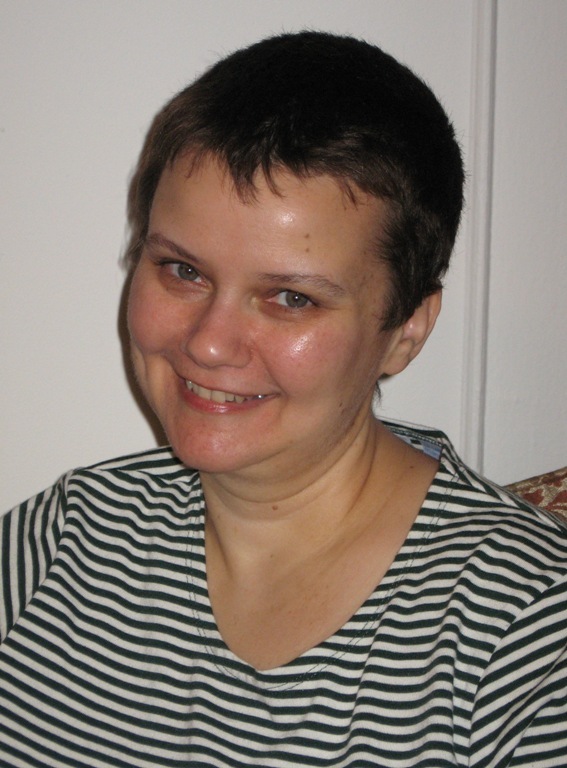 To give back to the writing and children’s lit community, Anne is a volunteer story judge at RateYourStory and writes a weekly column called Kid Lit Insider for EatSleepWrite.net. Anne grew up in Wisconsin but moved to New York City over 20 years ago. She now lives in Brooklyn with her husband, playwright Ken Munch.